Netanyahu will give Barack Obama a chip in which the independence scrolls of both countries are embedded side by side. During the working meeting between Prime Minister Binyamin Netanyahu and President Barack Obama this coming Wednesday, the Prime Minister will give the American President a symbolic gift: a nanochip with gold coating, in which the independence scrolls of both Israel and the U.S. are embedded side by side. 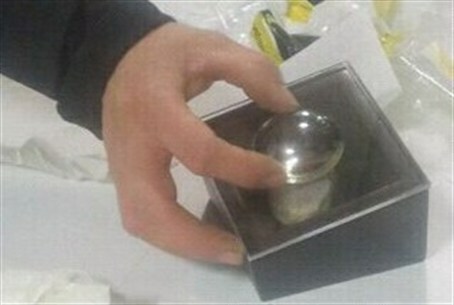 The nanochip will be placed on a Jerusalem stone from the Second Temple period which is normally used for sealing pottery in which liquids and perfumes had been stored. The gift was developed by the Russell Berrie Nanotechnology Institute at the Technion in Haifa. The Prime Minister's Office said on Sunday that the unique gift symbolizes the key messages of the visit - the strong and deep relationship between Israel and the United States and the shared values between the ​​nations, the thousand-year relationship between the people of Israel and the land of Israel, and Israel’s leadership when it comes to technological research and development. During his visit, Obama will meet with Netanyahu in Jerusalem and Palestinian Authority Chairman Mahmoud Abbas and his premier Salam Fayyad in Ramallah to hear their perspective on how to resolve the decades-long conflict. Last week, Obama said in an interview with Israel’s Channel 2 News that his trip is meant to "listen" to both sides and hear their views on how to move forward after over two years without peace talks. "My goal on this trip is to listen. I intend to meet with Bibi (Netanyahu)... I intend to meet with Fayyad and Abu Mazen (PA Chairman Mahmoud Abbas) and to hear from them what is their strategy, what is their vision, where do they think this should go?" said Obama. "To Abu Mazen, I will say that trying to unilaterally go to, for example, the United Nations, and do an end run around Israel, is not going to be successful," he said. "To Bibi (Netanyahu) I would suggest to him that he should have an interest in strengthening the moderate leadership inside the Palestinian Authority ...For example, making sure that issues like settlements are viewed through the lens of: Is this making it harder or easier for Palestinian moderates to sit down at the table," added Obama. Last year, when Netanyahu visited Washington, around the holiday of Purim, he gave Obama a copy of the Book of Esther – wherein the wicked Haman seeks to destroy the Jewish people throughout the Persian Empire. The gift was seen as a way for Netanyahu to draw a parallel between the Purim story and Israel's modern day conflict with Iran. Iranian leaders – including President Mahmoud Ahmadinejad – have repeatedly called for the destruction of the Jewish state, referring to Israel as a "one bomb state."